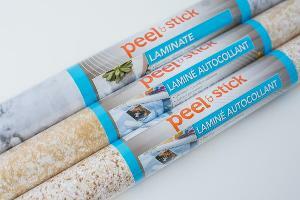 Prize: Transform nearly any surface with Deco Adhesive Laminate! Duck Brand, the maker of Duck Tape Brand Duct Tape, has released this exciting new product in several prints and textures for everyday crafting, decorating, and household use. Statistics: This contest was opened by 132 and entered by 5 ContestChest.com members. 4% of those who opened the contest, entered it.